Security police in Saigon detained Chau Van Kham, a member of Viet Tan, and Nguyen Van Vien, a member of the Brotherhood for Democracy, on January 13, 2019. An Australian citizen, Chau Van Kham is a well known member of the Vietnamese community in Sydney. He is a long time democracy activist, working with civil society on the ground in Vietnam as well as campaigning for human rights with elected officials in Canberra. He recently returned to Vietnam on a human rights fact-finding trip. Given the ongoing crackdown and his relatively high profile, Mr. Kham entered Vietnam through Cambodia in early January. Chau Van Kham was detained while meeting with Nguyen Van Vien, a Vietnamese citizen and member of the Brotherhood for Democracy. Mr. Kham has been detained incommunicado for almost two weeks and without Australian consular access. The Vietnamese authorities have not released any information regarding the detention of either individual. Viet Tan is a pro-democracy organization advocating for human rights and social justice through peaceful means. The Brotherhood for Democracy is a civil society organization working to train and educate Vietnamese about their fundamental rights. “We call for the immediate release of Chau Van Kham and Nguyen Van Vien. Mr. Kham returned to Vietnam to assess the human rights situation in his native country. 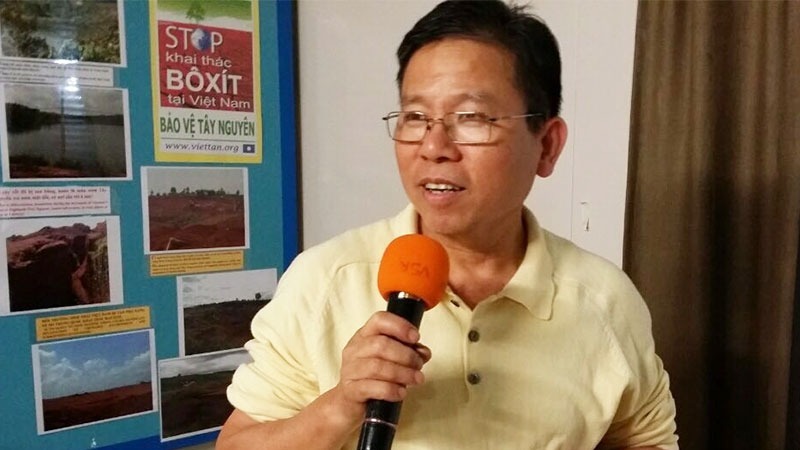 We are mindful that the Vietnamese police have a history of framing peaceful activists with fabricated charges,” said Dr. Phong Nguyen, Viet Tan representative in Australia. Viet Tan and the family of Chau Van Kham are in close contact with the Australian foreign ministry and Members of Parliament. The Vietnamese government is widely recognized as a serial violator of human rights. In the latest UN Universal Periodic Review, dozens of member states called on Hanoi to respect basic rights and release all political prisoners.